We are Katerina (on the left) and Silvia! Friends, business partners, heart and soul behind the Culiraw brand. Katerina’s domains are production and new products development. Silvia takes care of marketing and sales and together we make a great team! Food and cooking are my passions. I love discovering new flavors of vegan world and sharing them with you. My journey has started when I was 12 years old. Step by step I became vegetarian and throught the years of experimenting, education, trying new dishes and all kinds of diets like raw food, fruit only, etc. I became vegan. I had two main reasons to it. First, it was my health consciousness and well being. As I got more and more educated I wanted to help to protect animals as well which was the second reason to go vegan. I got into the world of raw desserts throughout a class I took once and I instantly fall in love with the idea. I knew it was something I wanted to do. Since my childhood I have loved desserts but I never knew when to stop eating them. But regular desserts are unhealthy, full of sugar and fat so I gained weight. I found raw desserts as a perfect alternative. I can eat desserts and stay energized and provide my body with nutrients. Gradually, I started trying new recipes just from ingredients I had. My friend told me, after she tried my new dessert, it was the best cake I’ve ever made. Since then, I have been making desserts from my favorite ingredients and creating raw vegan versions of those unheatlhy ones. I’ve accommodated lots of requests form my friends and others to create their favorite desserts in a healthy way and I always enjoy the challenge. Katerina introduced me to the world of raw desserts three years ago and I absolutely loved it. I was amazed by the idea of delicious desserts that are completely guilt free. No more empty calories! Finally, I can indulge on healthy desserts that are great alternatives to regular treats. My background is in the hospitality industry so you can imagine I am all about food, service and experience. So when my friendship advises turned into a serious offer to partner up with Katerina I was all in. I can’t imagine any better product to represent than something I truly enjoy and believe in. 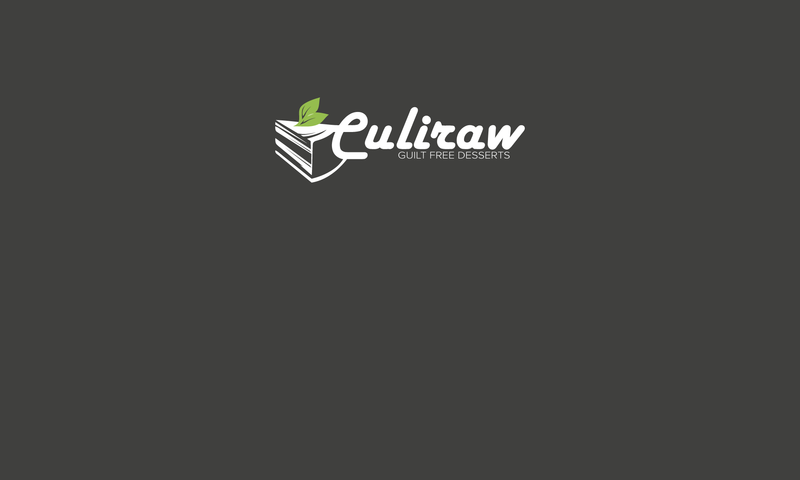 Together, we want to bring Culiraw to everybody. 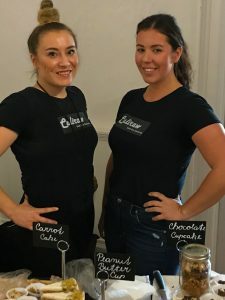 Culiraw is a vegan brand, but definitely NOT for vegans ONLY!!! We want to offer a great alternative to everybody, who loves sweets as we do. Since we do NOT use flour, sugar or dairy products (obviously 😉 ) our desserts are perfect option for celiacs, diabetics or lactose free patients as well as they are THE BEST pairing with any diet or a life style. Our desserts are only made of natural ingredients. Most of them are only consisted of cashews, walnuts, dates, cacao and coconut oil. We also use spices like vanilla and cinnamon or fresh fruit to add more flavor. To boost nutritional value we add matcha, maca, goji, chia seeds and açai. Other than that it’s just pure love. We do not use any sugar or artificial sweeteners. We mostly use dates sometimes agave or maple syrup to sweet things up. Our desserts are not only good looking and delicious but they’re also healthy and beneficial to your body. They are full of vitamins, enzymes, minerals and fiber. Since we don’t use processed sugar your blood pressure won’t spike up after eating, on the contrary it will help you to maintain a healthy blood pressure. Also, fiber will fill you up and will be helpful with digestion as well. Due to the fact they are raw none of the nutritional value is destroyed by cooking. So if you haven’t believed you can indulge on our desserts and to be guilt free hopefully you have changed your mind by now and you are ready to get one. Hint check your near by location or order online. This is what makes us unique on the market. Raw, vegan, healthy desserts that are gluten free and sugar free so you don’t have to compromise your diet or your lifestyle. Sit back and enjoy Culiraw!